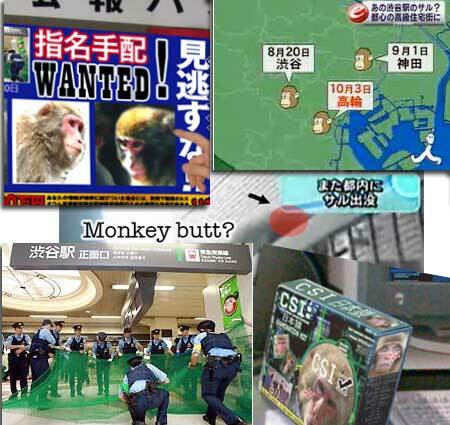 Now that it’s winter, police continue to use their resources investigating reports of loose monkeys in the city, with sightings regularly reported on Japanese TV news programs. The initial August news reports and monkey-chase videos were distributed worldwide. (See monkey timeline), but with temperatures dipping to freezing and below in Tokyo, our monkey will have grown a heavy winter coat of hair. Head over to Lets Japan for the latest on Tokyo’s hirsute bandit.